Kingman Historic Theatre: Epic will be showing this weekend at the Kingman Historic Theatre! 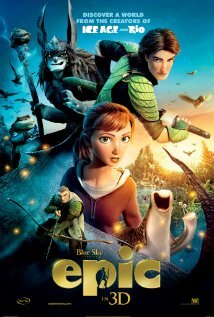 Epic will be showing this weekend at the Kingman Historic Theatre! This weekend the Kingman Historic Theatre will be showing Epic at 7:30 P.M. on Friday, June 21 and Saturday, June 22 and at 5:00 P.M. on Sunday, June 23. This movie is rated PG-13 and stars Collin Farrell, Josh Hutcherson, and Beyoncé Knowles. Check out the Epic trailer.